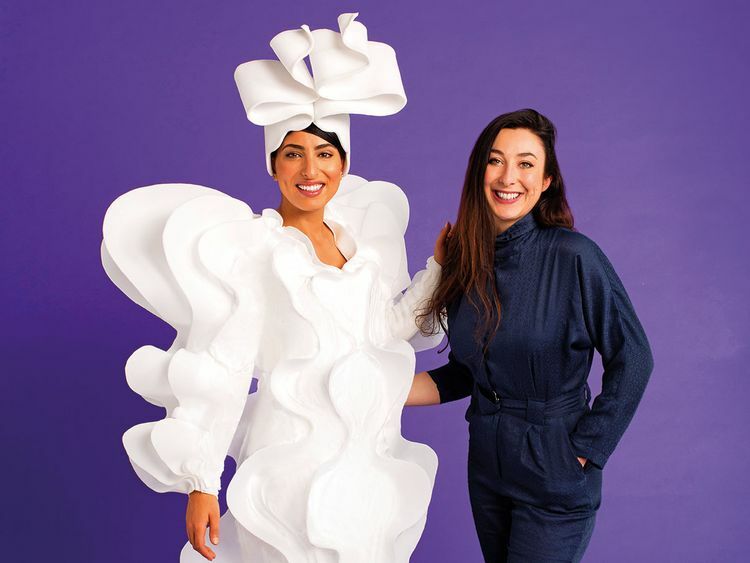 London-based costume designer Kate Tabor, who has created looks for many stars including Katy Perry, has partnered with Emirati designer Huda Al Nuaimi to create a dress for Costa Coffee that’s inspired by the region. Influenced by the coffee brand’s foam, the dress is one of three looks to be created by Tabor, in collaboration with talents from around the world. Called Cold Foam Couture, the creations were commissioned to celebrate the launch of Costa Coffee’s new Cold Foam.